For my next ESFS Festival, I wanted to explore some of the silent film actresses who are unfamiliar to me, especially those who embodied their era’s ideal of cinematic sexuality. Since titans such as Greta Garbo and Gloria Swanson seemed like potential subjects of their own future festivals, I left them out of consideration. I also excluded an actress like Lillian Gish, whose popular persona depended more on virginal purity than moral-draining vampish-ness. 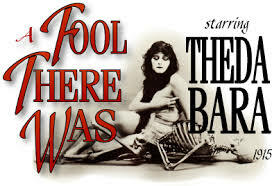 The Silent Sirens festival starts here on Monday, April 7, with my review of A Fool There Was, but look for a full festival intro next week.